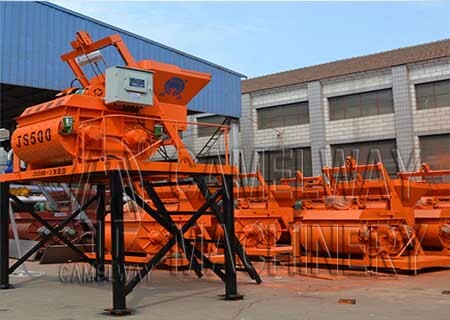 There are many reason could make the concrete mixer cylinder do not work. Then we will tell you the method when the the concrete mixer cylinder can not be opened. The first may be the mixer was stuck by debris. If it is so, then you need to unscrew the flow control valve, urgent repeat switch manual methods of operation or removed debris from the hole of inflatable tank. The second may be compulsory concrete mixer seal is broken, you need to unscrew the flow control valve, remove the seal and check the parts, if it is necessary, you should replace it. Then there may be a third that is throttle valve of compulsory concrete mixer has problems, you need to open the open electromagnetic throttle valve. If you have any questions, you can contact us. We will try our best to service for you.